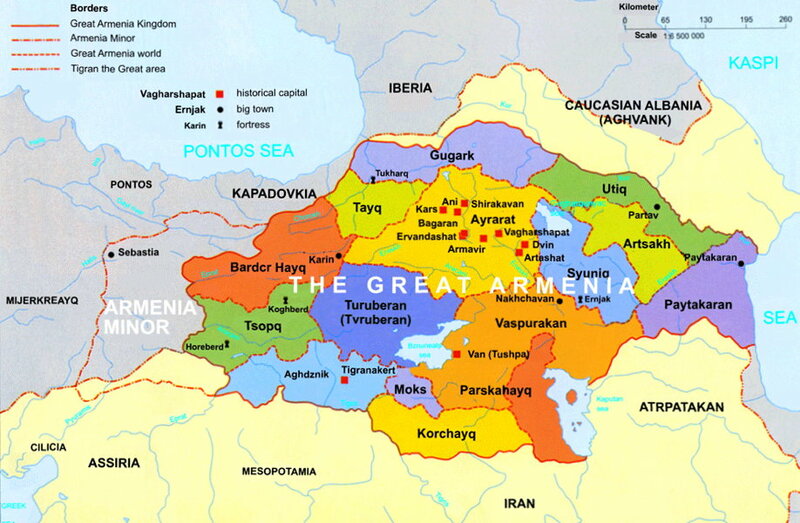 Ancient Armenia was a feudal society, with each district ruled by nakharar (feudal lord). these noble houses jealously protected their prerogatives and limited the possibility of national unity. The unruly autonomy of these princely houses also hindered the rule of would-be conquerors. As a result, this ruling class was gradually destroyed by invading armies, to facilitate their own rule. The destruction of the nakharar class also destroyed the "high" culture of the native elite. The only surviving institution was the Armenian Church, which became the dominent political, religious, and social focus of Armenian life. The ecclesiastic orientation of Armenian culture today reflects this phenomena. Dances were usually accompanied by musical instruments. In the village, the most common instruments were davul / tahul (a large drum), and zourna (primitive oboe). Other popular village instruments used were dudek sheeve and mey (shepherd's flutes), and daf (tambourine). The sax was a stringed instrument commonly played in Western Armenia, with the tar being its Eastern Armenian counterpart. The kemenche (fiddle) was used as a folk instrument on the Black Sea, but elsewhere was used to accompany the songs and poetry of the wandering ashoog (troubadour). A village ensemble often consisted of no more than two or three instruments. Song-dances were performed as the dances provided their own music by singing as they danced. Each village had its own special songs, and its dances that corresponded to the songs. The barbashi (dance leader) would often have his back to the direction that the line was traveling because he would be facing and singing to the other dancers in the line. The barbashi would sing a line or stanza and the rest of the line would respond by either repeating the same lyrics or replying with a different set of lyrics (the type of response varied regionally). The steps of the dance were kept very simple so that one could easily sing and dance simultaneously. Because of this interrelationship of steps and lyrics the dances were never boring, no matter how repetitious the steps, and the dance's tempo and mood were easily varied by the leader. While the dancers danced to instrumental music of dance-songs, the spectators would always clap for the accompaniment. This clapping was considered an intrinsic part of any dance. Women were expected to keep their eyes modestly downcast while dancing. This custom prompted the men to cajole them, crying "zhabid" ("smile"), to tease them into ignoring the proprieties. 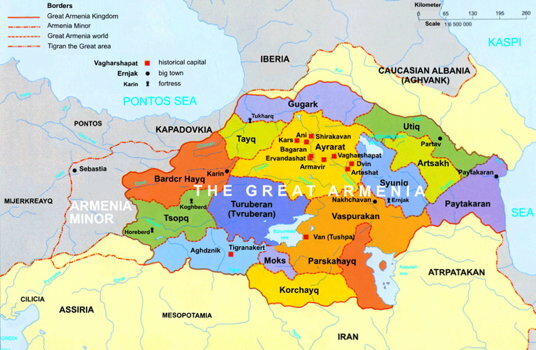 Western Armenian is the native style of most of the original Armenian immigrants in America, who settled here after the destruction of Western Armenia. The Western style is far less flamboyant, with little of the leaps or bold gestures that characterize the Eastern style. Western Armenian dance is noted for its heavy earthy movements, and stamping in the men's dances. However, the Western Armenian style is far less dramatic than the Eastern Armenian, and consequently is rarely performed by stage groups, or seen by the public. "Soon the villagers came, and the musicians with their bagpipes and drums  davous zourna  and their kemenchas, native fiddles played upside down. The men wore Lax garb: tight black jackets with long sleeves and two decorative cartridge pockets across the breast; black breeches very roomy in the seat and glove tight at the legs; a black cloth hood knotted smartly around the head with its two ends flapping on the shoulders; cowhide moccasins or heelless shoes with toes ending in a leather thong turned backward. The village women sported gorgeous costumes. Their skirts rustled as they moved, and their red or blue velvet jackets, embroidered with gold or silver thread, fitted tightly around their sumptuous breasts. Gold coins were strung around their disk-like red velvet caps (part of their dowery), and silver buckles shone on their red velvet shoes. As our peasants danced, the village virgins stood coyly on display and the young men picked and wooed their future wives. Men and women danced in a circle, hand in hand round and round, forward and backward, the basic circular dance of the Near East and the Balkans. The village men had martial dances of their own. They formed a closed circle, interlocking little fingers and raising their hands above their heads. With a warlike cry "Alashagah they dropped or crouched together on one knee; then jumped up and came down again on the other knee, every muscle in their lithe strong bodies quivering with tension." Leon Surmelian, Apples of Immortality. Berkeley, California: University of California Press, 1968, page 29. Armenian villagers did travel, particularly as pilgrims to the large religious festivals, There they would be exposed to the music, songs, and dances of other villages and regions. When they returned home, they would describe and demonstrate these for their own village, often adding a local flourish to the song or dance. Some of these might be incorporated into the local repertoire, and modified to suit local tastes. These population shifts are reflected in the dances. In 1828, 100,000 Armenians fled Turkey into the Caucasus during the Russo-Turkish War, repopulating areas Shah Abbas had devastated earlier. These Armenians from Erzerum brought their dances with them (that is, Keurogli, Uzundara, Akhalzikha Vart), where they still flourished a century later. Similarly, the intense Black Sea dances (that is, Laz Bar), were introduced into Erzerum, Yerzinga, and Sepastia by Pontic Greeks and Armenians of Treibizond. These Christians were fleeing the brigandage of Moslem Circassians that Russian had deported in 1864. The same dance melody could also be known by different names in different areas. Thus, the dances known in Erzerum as Shavalee and Yerek Vodkh were known in Yerzinga as Hooshig Mooshig and Bilbil. This same process can be seen today in the diffusion of new American-Armenian party dances throughout the United States, adapting to local conditions. Sepastia  Chekeen Halay, Bijo, Jan Perdeh, Divrigtsi Bar, Govduntsi Bar, Uch Ayak/Sepastia Bar, Preperttsi Bar. Erzerum  Khosh Bilezig, Kher Pan, Berzanig, Shavallee, Akhaltzikha Vart, Dasnachoors, Maro Yerek Vodkh. Van  Lepo Le Le, Govand, Daldalar, Papuri, Lorge, Sinjani, Sulimani, Sherokee, Haire Mamougeh. Daron  Yarkhoshda, Tooran Bar, Shoror, Gorani, Lorge, Kotchari Latchi, Bingeol. Urmia  Janiman, Sinjani, Bandi Shalakho, Tachayal Kitchari, Sheikhani, Roostam Bahzee. The destruction of Western Armenia in 1915, and the subsequent dispersion of the survivors, irrevocably destroyed the traditional structure of Armenian dance. The conditions that had sustained it for millennia had ended. Uprooted from their ancestral homeland, the Armenians scattered throughout the world. The dances of the village had fulfilled important functional needs of the people in that particular context, but were not functional in the new conditions of the emigrants. Despite the loss of the old dance forms, dance still remains an integral part of Armenian life. Today, the various Armenian communities have created or adopted new dance forms to fulfill the new needs which have developed under alien conditions, particularly in the urban communities of the Armenian S.S.R., the United States, and the Middle East. In each of these areas the development varied significantly, to adapt to the needs of that specific community. Unfortunately, no research had addressed itself to this area of cultural comparison. In the United States, the traditional Western Armenian music and dance remained an important cultural factor in the American-Armenian communities, and integral part of society. As the Armenian language fell into disuse among many American-born Armenians, the music and dance gained even more importance, as one of the remaining avenues of cultural identity maintenance. Today, this music and dance have developed into a characteristic form unique to the United States, and one of the principal means that today's American-American youth assert their Armenian identity. This popular American-Armenian tradition is a synthesis of two dissimilar Western Armenian styles: the urban "Oriental" style and the rural "folk" style. These styles were preserved and fostered in the United States for decades through the picnics of the "compatriotic unions." These unions were comprised of groups of people who had come from and were often the sole survivors of villages or towns in Turkey. Although some unions are still active today, these compatriotic societies began to lose influence after World War II, when a younger Armenian-born generation came of age. This new generation did not share the nostalgic memories of their parents (after all, these youth had never seen these regions of Armenia), and preferred to focus their interest in institutions with a broader community base (that is, the church). Up until this time, Armenian music and dance were often considered somewhat old-fashioned and esoteric. It had remained confined in Popularity because each compatriotic union restricted itself to its own music, ignoring other regional traditions. As the stress on provincial regionalism diminished, a new interest in a wider "Pan-Armenian" identity replaced it. A new form of music was needed that would be acceptable to most people. The traditional music, in its original form, had too many associations with narrow interest groups. In the late 1940s, the rise of the Vosbikian Band (followed by Artie Barsamian, the Gomitas, the Nor-Ikes, etcetera) heralded the American-Armenian "big band" era. These bands utilized western instruments (that is, guitar, saxophone, conga drums, bongos), and created a new Armenian "sound" that won wide acceptance. A homogeneous style of "American-Armenian" music developed which incorporated elements of both the urban and rural traditional music, and contemporary American music (that is, jazz and Latin rhythms). The music (and the dance) lost much of the subtle characteristics that distinguished the distinctive regional styles, but the resulting popular idiom brought new vigor to Armenian music and dance. This new style of music enabled the community to integrate itself on a much wider scale as a common interest of all groups. Old songs were altered to fit this new, brash sound, and new songs and dances were created. These quickly established themselves as part of a new American-Armenian folk tradition. Closer contact with other Middle Eastern immigrant communities in the United States (that is, Greek, Arabic, Assyrian) led to the adoption of numerous songs and dances from these cultures. Modern American-Armenian music is "Pan-Middle Eastern," and incorporates many elements. A new American-Armenian dance form also developed. These dances derive from three distinct sources. Some of the dances are traditional village dances that have been modified to fit the new music (that is, Halay, Tamzara, Papuri Sepastia Bar, Laz Bar). Other dances have been adopted and modified from ethnic groups (that is, Misirlou, Syrtos, Tsamiko, Dabke). Most of the dances, however, have been created by Armenian teen-agers and later adopted by adults (that is, Shuffle, California Hop, Michigan Hop). Although certain American-Armenian regional differences in repertoire and style exist (that is, Boston style, Detroit style, Fresno style), the popular dances are fairly uniform throughout the United States. The numerous youth conventions play a major role in the diffusion and maintenance of these contemporary party dances. Armenian teen-agers are the primary dance innovators and their dances are the most ephemeral. These dances can wax and wane with amazing rapidity, similar to the dance fads of mainstream America. The "California Hop" (Tom Bozigian's Hink ou Meg) was introduced to New England Armenians in the mid 1970s, reached a peak of popularity, and is currently waning. Sulemani, a Vanetsi dance we introduced from Detroit, and Guhnega, a choreography of Tom Bozigian, are becoming local favorites, although both were unknown here in 1979. Some new dances are actually old village dances in a new form ("old wine in new skins"). The old Venetsi Wedding Dance Haire Mamougeh regained popularity in New York City around 1978, as the "Armenian Cha-Cha." The old dance Laz Bar (double Tik in Pontos) died out in much of New England in 1960. In 1974, it was learned at a Chicago convention and reintroduced as a new dance. Internal Armenian politics also create significant differences, because the political parties rarely associate. The dances performed at an Armenian Church Youth Organization of America (ACYOA) dance can differ somewhat from the Armenian Youth Federation (AYF) dance a mile away. Armenian folk dance, like all living traditions, is a continually evolving form. The rapid changes since 1917 reflect the adaptation to new environments and needs. The contemporary American-American dances provide a basis for ethnic integration and identity. The massive influx of immigrants from Lebanon, Iran, and Soviet Armenia in the late 1970s, will further change the dance, particularly on the West Coast. The elaborate choreographies of today's stage groups satisfies vital Armenian social, idealogical, and political needs by presenting Armenian dance in "the best possible light," as defined by tastes of Western theater audiences. The versatility of Armenian musicians in the United States has had a profound impact on other forms of Middle Eastern music in America. The dance has, until recently however, remained exclusively an Armenian property, insulated from the outside community. The major media exposing Armenian dance outside of the community have been various dance groups or teachers. A culture's dance generally reflects other values held by that culture. The Armenian traditional, contemporary, and stage dances have developed and changed in response to important social, political, and ideological changes within the community. It is impossible to understand American-Armenian dance outside of this context. After the genocide, the most important local cultural organizations were the various compatriotic unions. The dance and culture of each distinctive region were preserved at these gatherings. The first "Armenian dance groups" in the United States were informal presentations at these meetings, where several people form the same village would perform their particular village dance. Occasionally, "ad hoc" dance groups were organized to perform at the annual picnic or banquet, but these informal dance groups remained ephemeral, and only performed within the context of the union's functions. The first formal Armenian dance groups were a direct response to the nascent international folk dance movement. The Armenian Folk Dance Group of Boston was the first formal performing group in the United States (1926 to 1928). The director, Arevalois Deranian Kasparian, had become interested in folk dance as a young girl and learned many international folk dances in classes at the İstanbul Young Men's Christian Association (YMCA). While later residing at an Armenian orphanage, she collected several different regional dances. Unlike the compatriotic unions, her group performed a variety of dance from several regions, concentrating on the song-dances. The next major group developed ten years later. The Armenian Folk Dance Society of New York was founded in 1937 by Catherine Mirijanian, a secretary at the McBurney YMCA in New York City. The founders wanted to create a dance group to represent Armenia at international festivals, comparable to the dance groups of the Lithuanians, Italians, etcetera. The society was the first Armenian group in the United States to attempt to systematically collect the dances from the various provinces. The society collected and performed over twenty-five different regional dances, particularly from Sepastia, Van, and Garin. The society was performance oriented and only collected dances that could be presented on stage. Unfortunately, several dances deemed too boring or too simple for stage were ignored and subsequently lost. The American-Armenian community became exposed to Kavkaz style in the late 1940s, because of several factors. A considerable number of Soviet Armenian soldiers had been captured by the Germans during World War II. A number of these emigrated west after the war rather than return to the Soviet Union. This group included several dancer-choreographers such as Arshod Azruni and Haigaz Mgrditchian, who founded Kavkaz style dance groups in the United States. Another major factor in the introduction of the Kavkaz style was the change of political climate. In the late 1940s, the Soviet Union opened its borders to immigration for the first time since the October Revolution. Many leftist-oriented Armenian political groups initiated extensive publicity campaigns within the Armenian community. Some groups organized style dance groups to promote Soviet Armenian culture. In response to these political campaigns, tens of thousands of Armenians around the world immigrated to "the Motherland" in the late 1940s. This political campaign (and its dance groups) became discredited and collapsed shortly afterward, as word of Stalinist purges in Armenia reached Armenians living outside their homeland (the diaspora). The Cold War ended this establishment of harmonious relations (rapprochement) with Soviet Armenia for several years. In the late 1950s, the American international folk dance community had its first major exposure to Armenian dance, because of the workshops of Vilma Matchette and Frances Ajoian, both of California. Mrs. Matchette collected and taught several of the popular dances done by Armenians, the initial "contemporary party dances." At the time no Armenian attempted to record these dances, and her classes are an important documentation of the dance at this period in time. Mrs. Ajoian directed the Cilicia Armenian Dance Group in Fresno, California. This group paralleled the Folk Dance Society of New York in some respects, presenting traditional Western Armenian dances to the public. 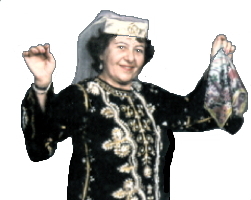 Mrs. Ajoian collected dances among the elderly and taught these dances at workshops. Several "standard" Armenian dances still performed in international folk dance circles date back to this era (that is, Laz Bar, Shuffle / Dari Me Na, Tamzara, etcetera). In 1960, the team of "Hourig and Sossy" (Hourig Paplazian Sahagian and Sossy Krikorian Kadian) began performing on the East Coast. These women revived the old Kanto tradition of İstanbul and combined it with American vaudeville. Still performing in 1982, their act combined dance, song, acting, and mime into a coherent whole, telling stories (usually satirical) in several mediums. Until the early 1960s, the repertoire of Armenian performing groups in the United States remained primarily Western Armenian, reflecting the origins of the immigrants. Aside from a few solo or couple dances (that is, Tamzara, Lezginka, Shalakhoi), the Kavkaz style was almost unknown. One exception was Haigaz Mgrditchian's group in Boston, Massachusetts. Dance groups were generally small and poorly funded, often being held together by one or two dedicated individuals. It was difficult to locate actual folk garments for the dance groups to copy, because few authentic costumes had survived the 1915 genocide. Most groups' costumes were either an approximation, because of lack of funds, or elaborate highly romanticized reconstructions. Historic accuracy was not a major priority for most groups, aside from the New York Society. The folk dance's theatricalization remained somewhat rudimentary, because no formal institution teaching Armenian choreography existed in the diaspora. The most successful Armenian-American choreographers were dancers who had extensive ballet background, and applied principles learned in ballet to the folk dance (that is, Seta Suni, Nevarte Hamparian, Seta Gelenian). The 1960s, however, witnessed a rapid transformation of Armenian dance groups into their present form. The first American tour of the Armenian State Dance Ensemble in the 1960s electrified American-Armenian audiences. Many third generation American-Armenians were unfamiliar with Armenian dance (either Eastern or Western), associating dance with the quaint steps of their grandparents, or with the popular American-Armenian party dances. The Moiseyev-like acrobatics of the State Dance Ensemble transfixed the audiences, who readily accepted that this exciting ballet-derived folk dance was a "purer" form of Armenian dance. The existing performing groups began to pattern their repertoires after the State Dance Ensemble. Soon after this aesthetic re-evaluation, a social/ideological re-evaluation began. Until the mid 1960s, the American-Armenian communities were supported on a local level. The funds raised for the large international Armenian institutions (that is, the Armenian General Benevolent Union (AGBU), Armenian Relief Society (ARS), Tekeyan, Hmizkaine), were used to support the extensive Armenian communities in the Middle East, building schools, orphanages, cultural centers, etcetera. In the mid 1960s, these organizations realized that they had ignored the American communities completely, and that extensive cultural assimilation was endangering the American-Armenian community. Somewhat belatedly, these groups refocused their efforts to develop an infrastructure comparable to that in the Middle East. Funds and leadership were provided to set up Armenian Day Schools, cultural centers, choral societies, theater groups, athletic teams, and dance groups. The rapid deterioration of conditions in Lebanon and Iran in the late 1970s has proven the wisdom in this policy. Given the sponsorship and resources available through these organizations, many dance groups changed. Small, locally autonomous groups were incorporated into national networks, affiliated with a particular political or cultural organization. Dance instructors trained in the State Ensemble style were imported to organize these dance groups or found new ones. New dance groups, such as AGBU's Arat (New York) and Sardarabad (Los Angeles), now have over a hundred members and require extensive financing. The importation of trained "professionals" to teach the dance has further accelereated the "sovietization" of dance groups in the United States. The Western Armenian dance had never been formalized into a teaching curriculum, as the Eastern had, and could not compete successfully. Today, virtually every Armenian dance group is a derivative of the State Dance Ensemble. The only Western Armenian dance groups left in North America are the Armenian Folk Dance Society of New York and two offshoots, Nayiri (New York) and Navasard (Boston). 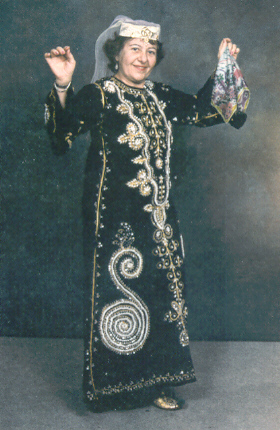 Aside from the dances introduced by Vilma Matchette and Frances Ajoian, very little Armenian dance was known in the IFD circles until the late 1960s. Haigaz Mgrditchian choreographed an Armenian suite for the Duquesne University Tamburitzans in 1965, but this had little impact on the larger IFD community. Ron Wixman and Steve Glaser taught several dances that they had learned as members of the Armenian Folk Dance Society of New York, but their exposure was limited. About 1970, Tom Bozigian began teaching Armenian dance, and permanently changed the repertoire of international folk dancing. 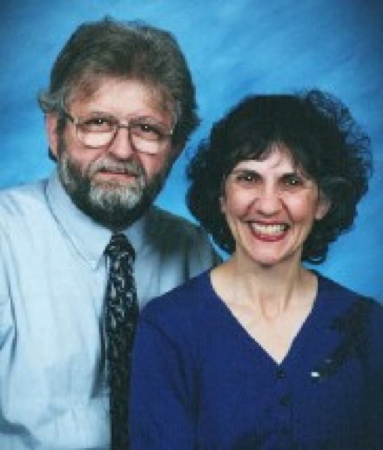 His familiarity with traditional, contemporary, and stage dances allowed him to teach a wide variety of Armenian dance forms that appealed to most segments of the IFD community. A combination of shrewd marketing, dance training (performer/teacher/choreographer), and iron constitution enabled him to present Armenian dance virtually everywhere. 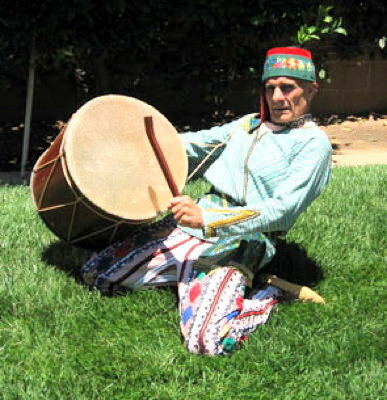 To many non-Armenians, his name is synonymous with Armenian dance. On the East Coast, Arsen Anoushian and Gary and Susan-Lind Sinanian were the most significant figures. Arsen was the director of the Armenian Folk Dance Society of New York and one of the foremost Western Armenian stylists in the Unites States. 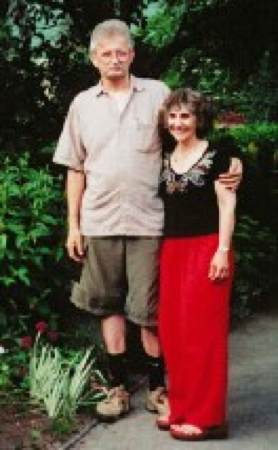 Although his primary interest was working within the Armenian community, he taught several workshops for the Balkan Arts Center in New York City. His main focus, however, was teaching the dances in local colleges for the Armenian student clubs and perpetuating these dances through his dance group. in Viltis Magazine, January-February 1982, Volume 40, Number 5, V. F. Beliajus, Editor.